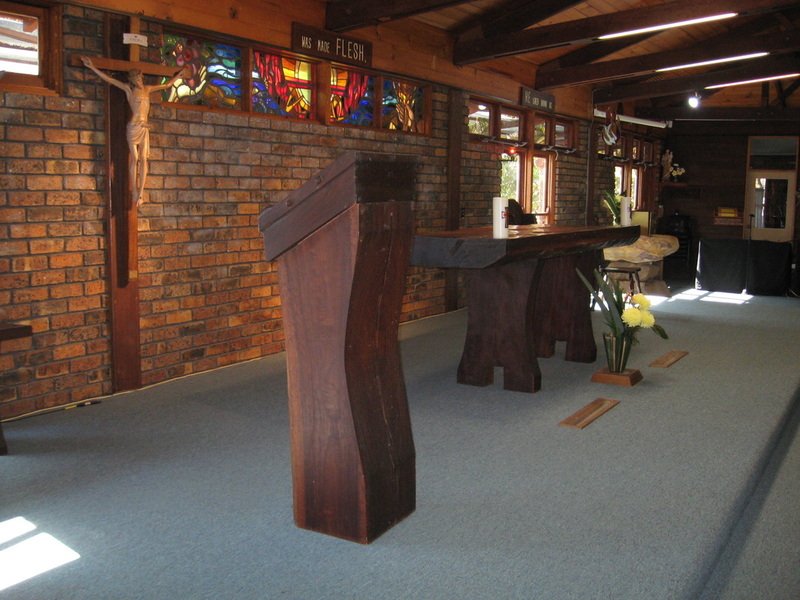 The Altar, lectern, chair and gift table are hewn from a big Blue Gum tree. 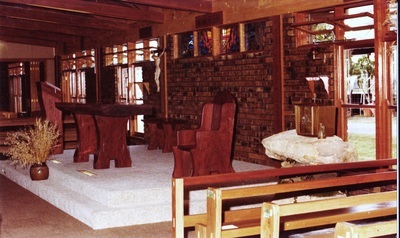 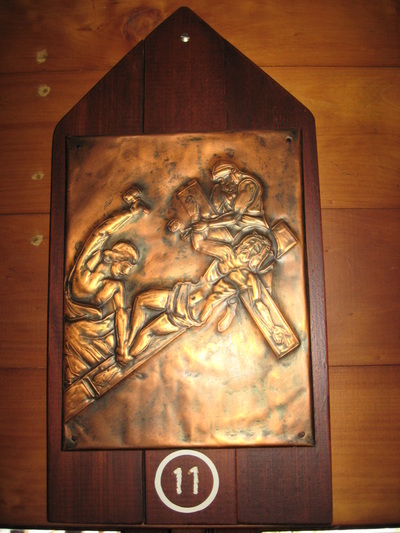 All the Church furniture was made by Owen Moynihan. 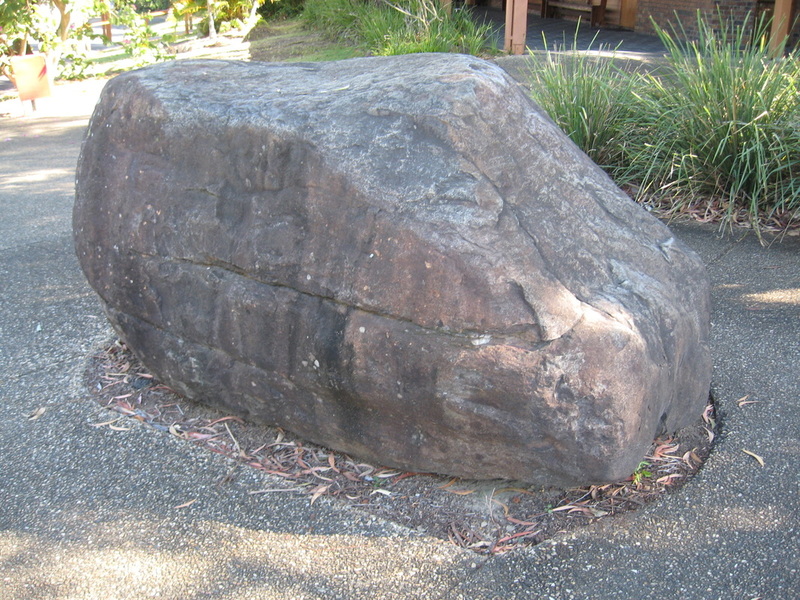 The BIG ROCK at the road entrance is Peter’s Rock. 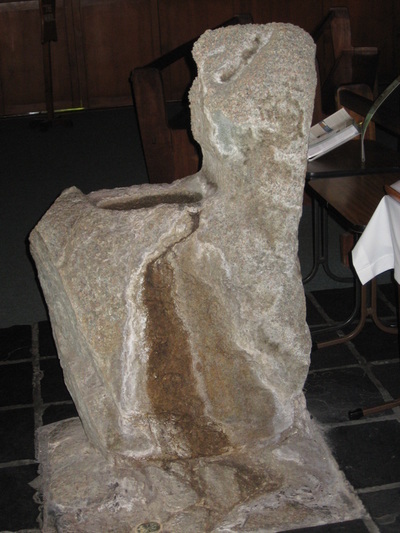 The BAPTISMAL ROCK (now the Holy Water Font) represents the Living Rock, giving forth the Living Waters. 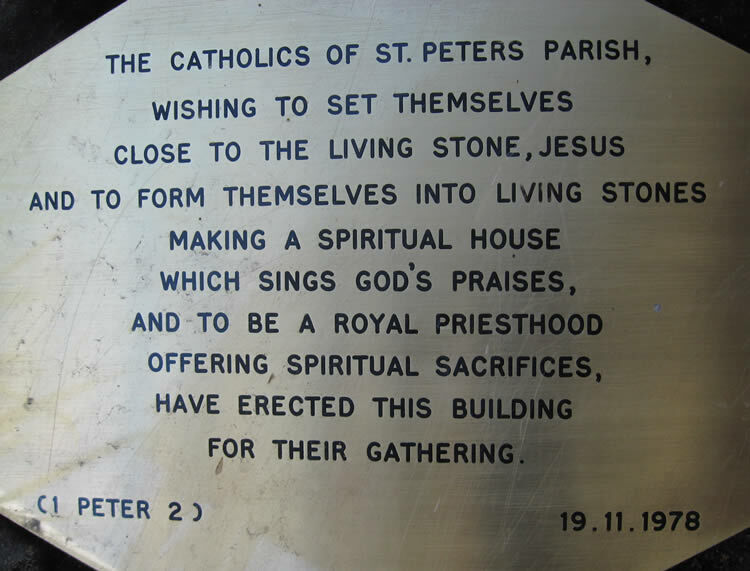 The FOUNDATION STONE expresses the desire of the parishioners to be set near Christ. 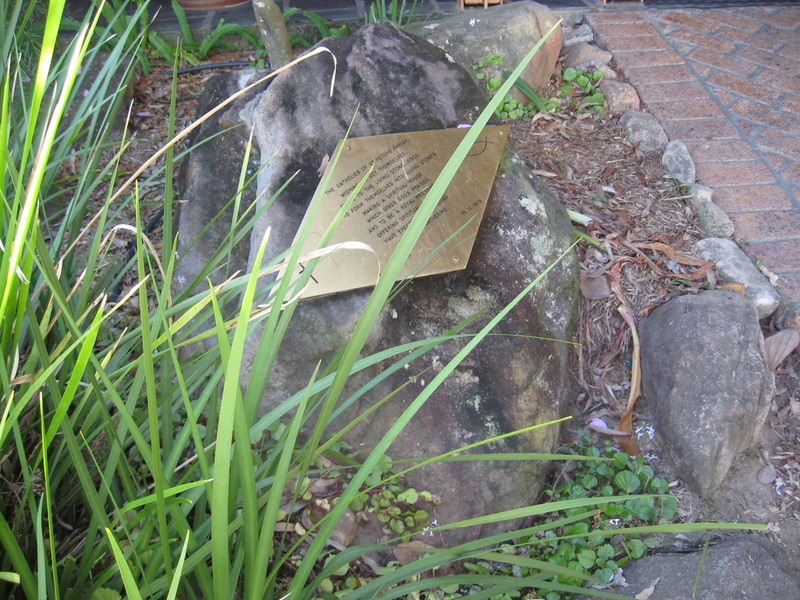 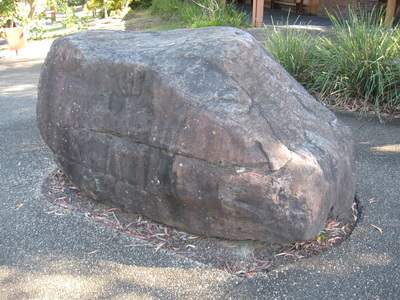 The rocks came from the end of Knight Street, Rochedale. 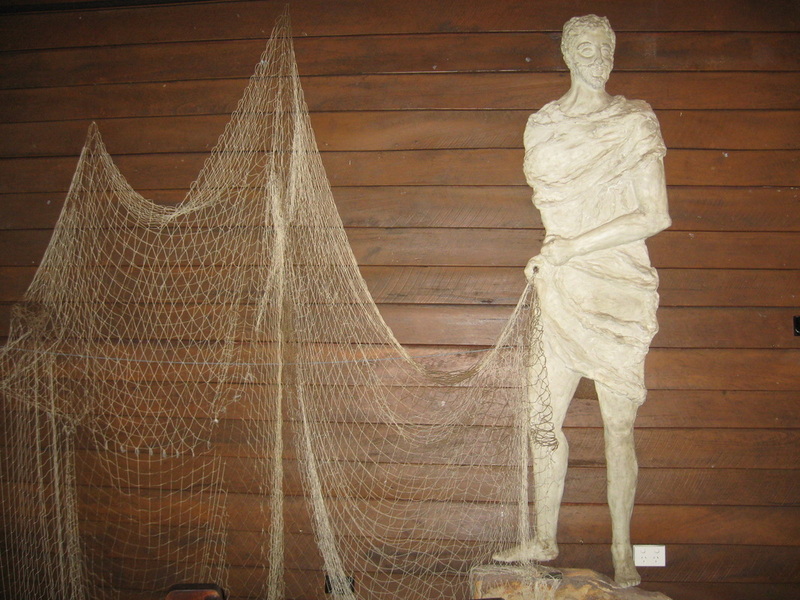 ​SIMON PETER, the fisherman, whom Jesus called to be a ‘fisher of men’. 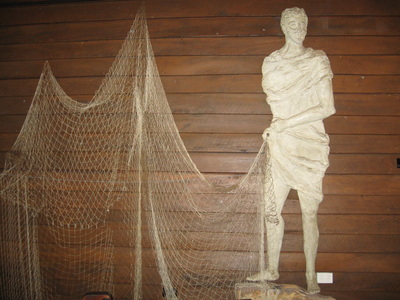 Creation: Earth, sea, sky, living things. The Central Sun: To symbolise the life-giving, enveloping warmth and love of the Father. 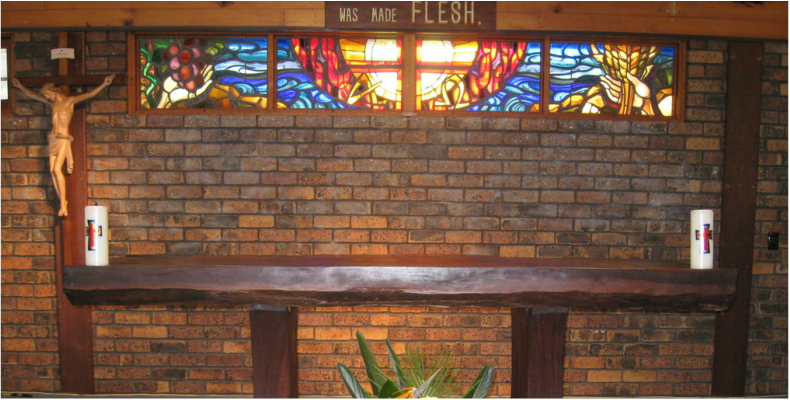 The Cross: To represent the Suffering Christ, the redeemer of God’s world after human sin. 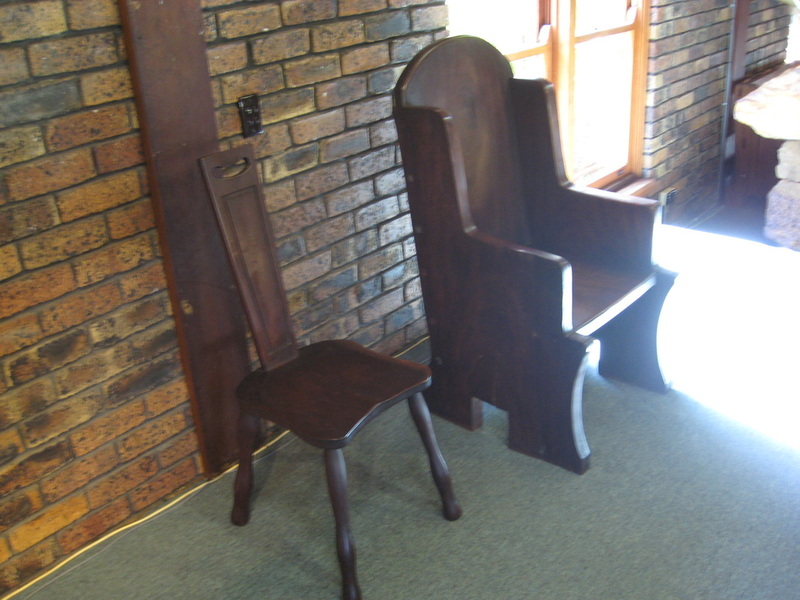 The Alpha and the Omega: To represent the victorious Christ at the Head of the Kingdom fully realised. The Flames of Fire: To represent the loving, life-giving presence of the Holy Spirit in our lives and in our world.